Word of God, come down on earth! Speak to us, eternal Word! Speak and heal our mortal ills! Word made flesh, we long for you! Ant. 2 “Free from all stain, Francis’ genius penetrated the hidden depths of Scripture, and where the scholarship of the teacher stands outside, the affection of the lover entered within” (LM, XI.1). For God is the Lord who crushes wars. As the rain and the snow come down from the heavens and do not return till they have watered the earth, making it yield seed for the sower and food for the eater, so is my word that goes forth out of my mouth: it will not return to me idle, but it shall accomplish my will the purpose for which it has been sent. Magnificat Ant. “This is what I wish, this is what I seek, and this is what I desire with all my heart.” (1Cel. 22). All: Your words are spirit, Lord, and they are life. All: May we be totally conformed to the Gospel in word and deed! All: May we not be deaf hearers of your Gospel. All: May we dedicate ourselves wholly to live out the charism we profess. All: Lord, your law brings salvation! 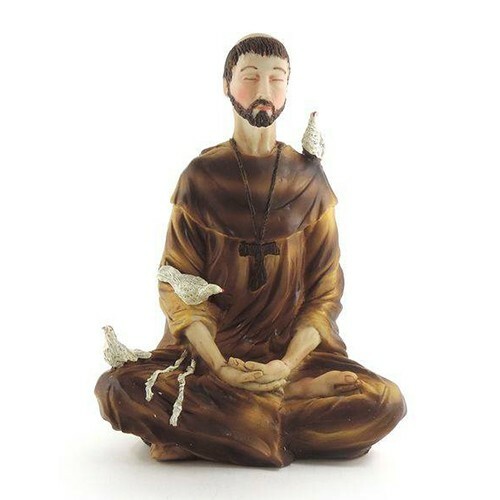 All: Like St. Francis, may all his brothers throughout the world bring forth worthy fruits of penance! All: May we ever be ready to obey your decrees! Lord, your words are the light to our eyes, the joy of our hearts, and the truth of our life. Your servant, St. Francis, realized this in his days. We pray that your Eternal Word, Jesus Christ, may be lived by us today, simply and plainly. We make this prayer through same Jesus Christ our Lord. Amen. I am the herald of the great king! Hear, all you creatures of the wood. a father in heaven i have found. A king and a father i have found! Clothing the lily and the rose.